I have a major sweet tooth, and even though I try to avoid sugar altogether, sometimes a girl’s gotta do what a girl’s gotta do. 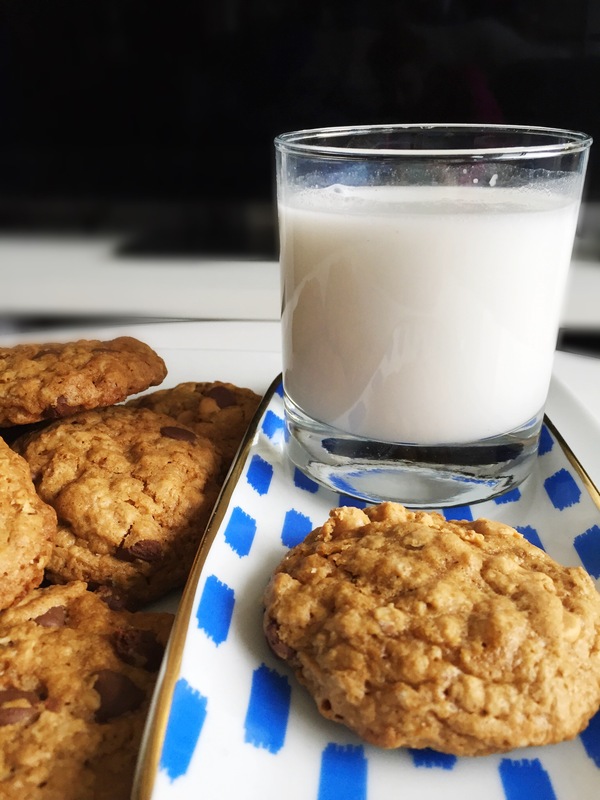 I recently experimented with some chocolate chip oatmeal cookies to try to a health-ish version, and I was able to whip together a recipe that turned out really quite nicely. While this recipe cuts out the gluten (you won’t even miss it! Seriously!) and a huge amount of calories and lowers the overall glycemic index, it doesn’t sacrifice the flavor or texture. I brought these cookies with me to Girl’s Night In with my besties last night, because my one friend has celiac disease and constantly misses out on what everyone else is eating. No one even could tell they were GF, which is a big win in my book. So basically, these cookies are like ninjas and totally incognito. True story. 1. Preheat oven to 375 F and mix all flour all dried ingredients, excluding oats for last. 2. Mix in wet ingredients, stirring in oats and chocolate chips last. 3. Drop rounded tablespoon sized balls of dough onto ungreased baking sheets. 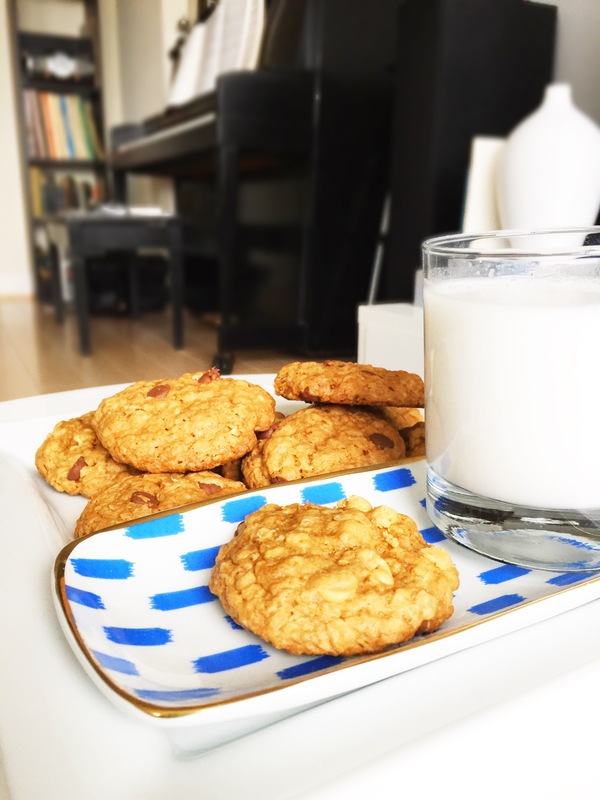 Cook 9-10 minutes for chewy cookies, 12-13 minutes for crunchy cookies. Allow cookies to cool before removing from pan.